America is rapidly moving away from its Judeo-Christian roots and becoming a society hostile to God. There are continual attacks on Christianity under the guise of freedom of expression, artistic license, non-discrimination, and separation of church and state. Nativity scenes are banned from public grounds. Public school children are not permitted to sing traditional Christmas carols or coaches offer a general prayer with their teams. A crucifix placed in a jar of urine is extolled as art. 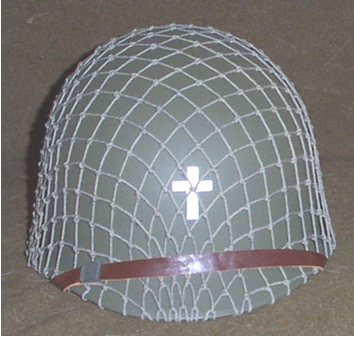 Military chaplains are directed to offer only non-denominational prayers. A war memorial in the form of a cross erected on public desert land is decried. Repeated attempts are made to remove "Under God" from the pledge of Allegiance and "In God We Trust" from the nation's coinage. Catholic social agencies are legally required to provide adoption services to homosexual couples, and college religious clubs are directed to allow students who do not share the same denominational beliefs to serve as officers. And the list goes on and on. Catholics are too submissive under these attacks. The alluring materialism of the age, coupled with weak formation in the Faith, have made them apathetic toward religion and detached from Christian traditions. Their attitudes, values, tastes, and behaviors are those of the population-at-large. They no longer have the knowledge or conviction to stand up for their professed beliefs and challenge societal trends. Large numbers of Catholics lead dual lives. They may adhere to Church teachings to fulfill their Sunday obligations, but for the rest of the week they adapt to the irreligious ways of the secular world. They have no desire to defend their Faith, and willingly accept the practices of abortion, divorce, contraception, gay marriage, and co-habitation. Religion is treated as a strictly private matter, and as such God rarely enters their thoughts. Catholicism, however, is not only a dogma to be believed, but a way of life in which we are called to stand before an unrelenting, religiously-hostile world and bear witness to the truth. We are called to be modern-day evangelists, bringing the teachings of the Gospel into the world through the way we live our lives. We are called to confront the evils of the world, to involve ourselves in the public square, and to bring the tenets of our Faith to bear on issues that impact on marriage, the family, and the dignity of the human person. Many Catholics may agree that this is the way they should act, but hesitate to do so because they feel alone, without confidence, and have no idea of what they can achieve. In order to change the values and behaviors of the populace-at-large, to alter the culture of the nation, we need leaders, role models, people of exceptional accomplishment to show the way. We need the example of people who have set themselves apart through selfless action and extraordinary achievement in pursuit of an end that is valued by all. Such individuals stimulate our imaginations and rouse our common, but dormant, convictions. They cause us to examine our values and goals and realize that through service to others, even at a sacrifice to ourselves, we can strive toward a higher purpose in life. In short, we need heroes. In our contemporary world, materialism focuses our attention on the "me," rather than on the "we." The drive for power, prestige and wealth makes the self more important than the collective. Even when we are concerned about others, secularism in the community limits our freedom to serve. The rejection of God in society creates a conflict between Church teaching and ministration to others, whether in health care, education, or social services. A culture that is strong in religious values has less need for heroes than one that is weak. The general ethos of the people, their beliefs and behavior, provides a social framework for others, particularly the young, guiding how they should act, illustrating what is appropriate and what is not acceptable. But in a culture in which God is absent, when morals are relative, when virtually any behavior is tolerated, heroes are needed to serve as role models of what it means to be Catholic in society. As we search for exemplars of heroism in today's world, who better can we choose than military chaplains? These are men who serve both Caesar and God, who strive in the militaristic world of the here and now to bring salvation to their fellow man. In coming alternative months, we will explore the lives of a number of Catholic chaplains, ordinary men who performed extraordinary deeds, who were cited by the nation for their valor, who lived their faith to the fullest, who risked and often gave their lives for others. Through the examples of these heroes, we can all be inspired to be heroic at least in small ways. Archbishop Charles Chaput, in an article earlier this year in First Things, gives us a prescription for how we can prepare ourselves for this role: "By talking to God, humbly and honestly, in prayer. By getting to know Christ better through reading and praying over the gospels. 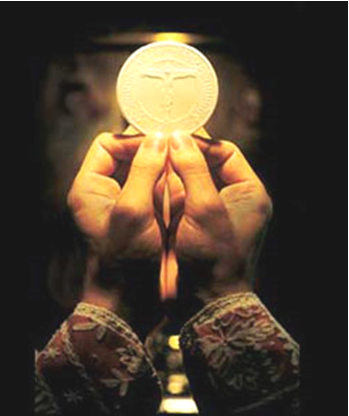 By opening yourself up to the graces he gives us in the sacraments. It's not about choosing what you want to do with your life. It's about discovering how God wants you to use your life to spread the good news of his love and his kingdom." We can all be heroes by obeying God in small ways as well as large, keeping his commandments, sacrificing for our families, assuming responsibility for our actions, and making our way through life without complaint. We can be examples of what it means to be Catholic by what we say, what we do, and what we do not do. We can show that God does indeed matter. May we be inspired to stand before our secular world and live our lives by heeding the familiar prayer, "Thy will be done."